George Kramer, M.D. | George Kramer, M.D. Dr. Kramer’s unique approach blends conventional medicine and rehabilitation techniques with advanced complimentary therapies to provide innovative pain relief solutions for his patients, helping them get back to the active life they love. He applies a broad set of medical treatments and procedures that have proven very effective for even difficult cases. As a result, many people can avoid surgery and the unpleasant side effects of prescription medicines. Board certified in Physical Medicine and Rehabilitation, Pain Medicine. Certified in Prolotherapy by the American Association of Orthopedic Medicine (few doctors in the U.S. are certified by the AAOM). Expert and Educator in Prolozone treatments. Trained by Dr. Shallenberger and other ozone Pioneers. Founding member of the American Academy of Ozonotherapy. Over 30 years of experience in sports and musculoskeletal pain medicine in Minneapolis and the Western suburbs as well as an expert in Prolotherapy since 1992. Graduate of the University of Minnesota Medical School. Residency at the Mayo Clinic. Named to the list of Twin Cities: Top Doctors, and Guide to Top Doctors in the United States. 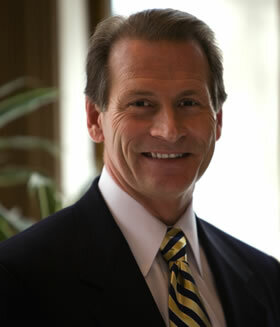 Founded the Sports Medicine Center, Low Back Clinic and Acupuncture program at Park Nicollet Clinic in the 1990’s. Adjunct Associate Professor in Physical Medicine and Rehabilitation at the University of Minnesota Medical School.